I hope you had a lovely weekend and Easter! A few months ago, I came across a new level of online shopping; The Dreslyn. To say the least, it might be one of the best curated shops ever. Full of my favorite designers (hey Zimmermann, A.P.C. Heidi Merrick), I am astonished that I had a some self control when surfing through the site. 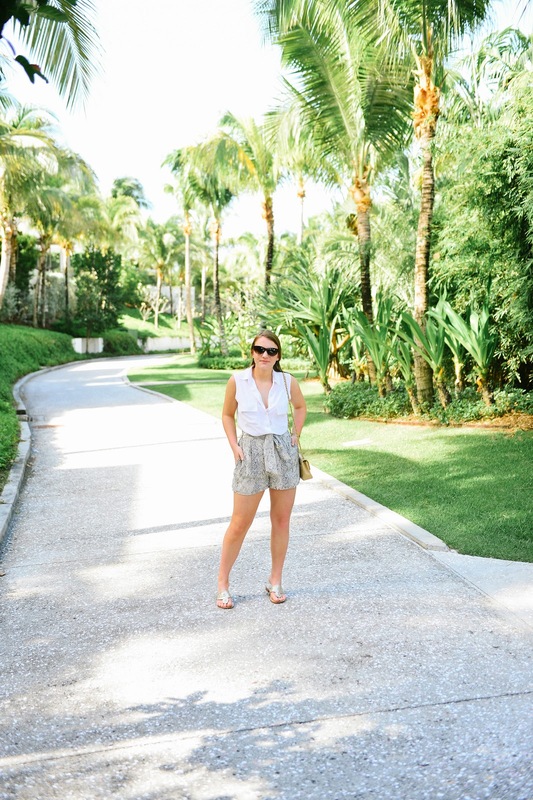 The two items I did purchase were a grey sweatshirt (worn here) and these Zimmermann shorts which came with me to Anguilla. I sported silk shorts quite a bit last summer but these have kicked it up a notch. Pairing them with my go-to Equipment blouse that I might wear at least once a week (praise you Equipment) made me feel as if I was wearing sleepwear... for some odd reason, it seems that I am currently into pajama dressing. The python print brought a welcomed change to my usual stripes and solid wardrobe. 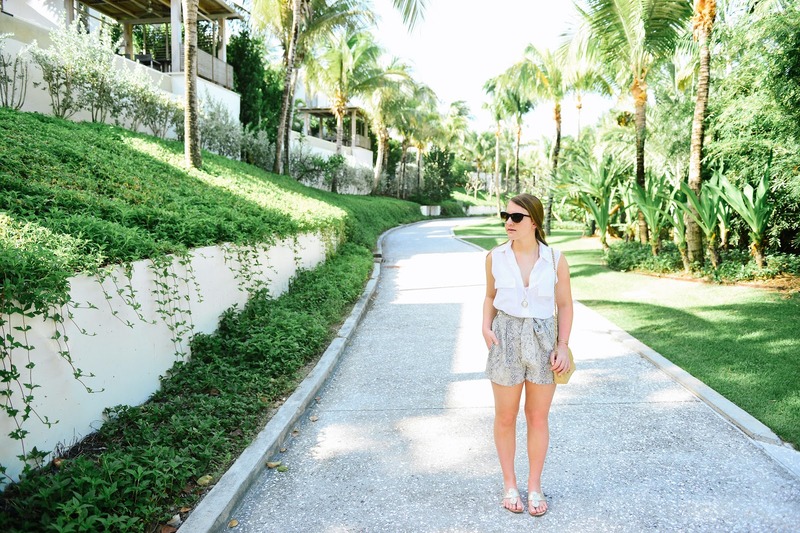 Cute outfit-love those shorts! And I'm envious of where ever you are... it looks beautiful! Again, this backdrop is amazing! 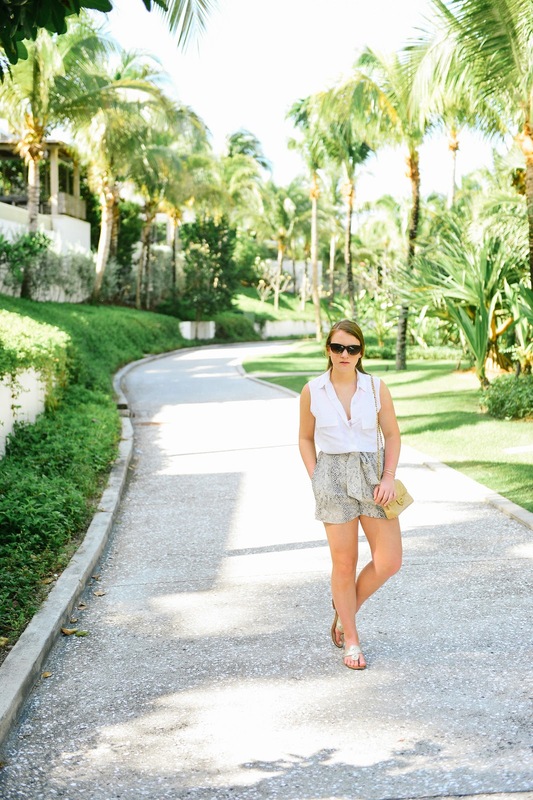 Love those shorts, especially paired with the white top.